IMPORTANT NOTICE ABOUT REGISTRATION AND MEMBERSHIP. Please note: All children must be 6 years or older to join the club. Please contact us if you have any queries on this. MyClubFinances will be hosting our Online Registration System from today onwards. This on-line registration system which will be used for all Athletes in Lusk AC as the process to use for registration going forward and this system will be used for sending out our weekly newsletters etc. Note: If registering more than two juveniles and an adult you should select from the Family membership options to receive the best value. Note: Some members may already have an online MyClubFinances account. 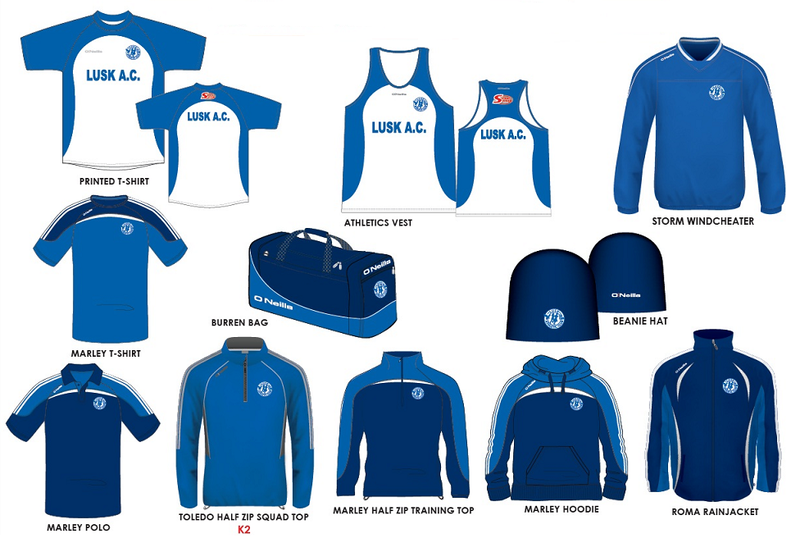 If they are members of a local GAA/Soccer/RFC clubs that has signed up to this system also. In this case you will not need to create a new account, simply login to their existing account and select our Club. Proceed to payment – Please note if possible we are asking members to pay with a debit card and not a credit card. The club will be charged a higher fee for credit card transactions. 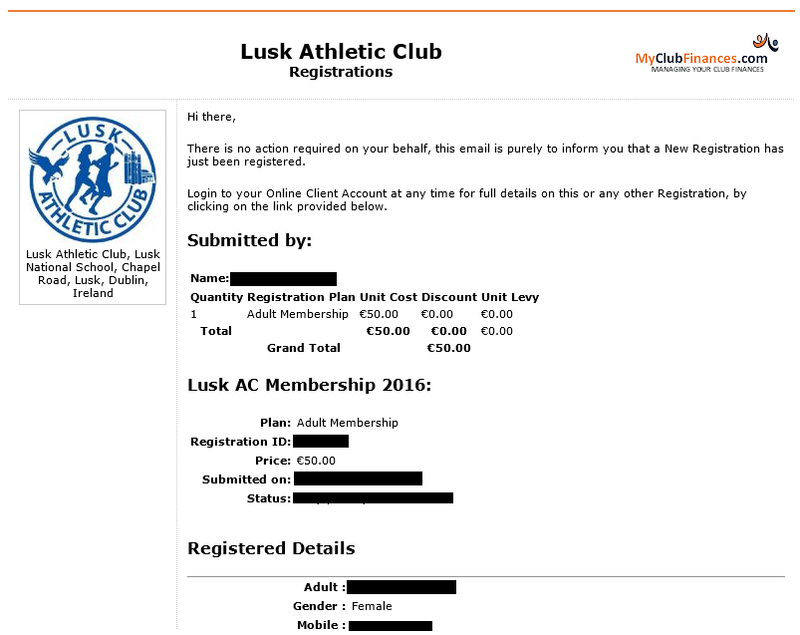 You should receive an email from fundraising@helpourclub.ie listing the membership types you selected and the amount paid. Please note anyone who has already registered using the manual process will be added to the on-line system and an account will be created for you. You will receive an email in the coming weeks with details on how to log on to review your details using the email address you supplied; as we will be going 100% automated from now on. You will also be able to get your AAI number from here as well.